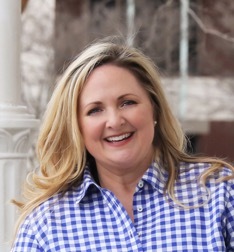 Tricia Pridemore was appointed to the Commission by Governor Nathan Deal in 2018. She won election to a full six-year term in November 2018. She is a businesswoman with a background in technology, consulting and workforce development. 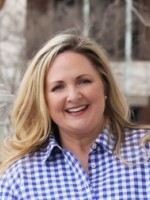 Since the acquisition of Accucast, the software company she founded with her husband in 2006, she served on the Georgia World Congress Center Board of Governors, the 2011 Transition team of Governor Deal and co-chaired both of Governor Deal’s Inaugural Committees in 2011 and 2015. Pridemore formerly served as the Executive Director of the Governor’s Office of Workforce Development and started Georgia’s skilled trade initiative aimed at encouraging careers in the energy, transportation and construction trades. Pridemore was a candidate for the United States House of Representatives in Georgia’s 11th Congressional District and a member of the Cobb Galleria Authority Board of Governors. Pridemore earned a bachelor’s degree from Kennesaw State University. She and her high school sweetheart turned husband, Michael, reside in Marietta, Georgia and are members of Mount Paran Church in Atlanta.